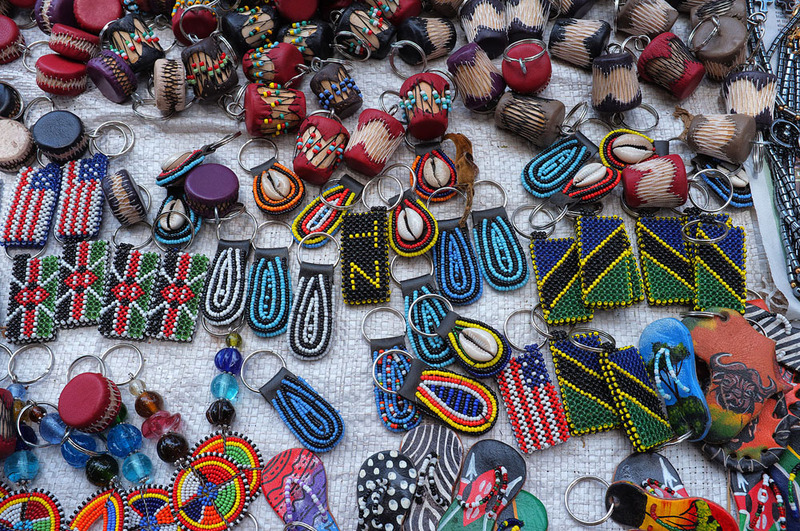 On a recent visit to Kenya, we had the good fortune of being able to visit one of the local handicrafts market, thanks to the efforts and planning of a very good friend. ” You would really like the place” is what she said; what she did not mention was the fact that we would be totally overwhelmed by the sheer talent that these people had! Seated all over the place under the shade of a few trees, we were treated to some of the most creative craft work that we had seen. 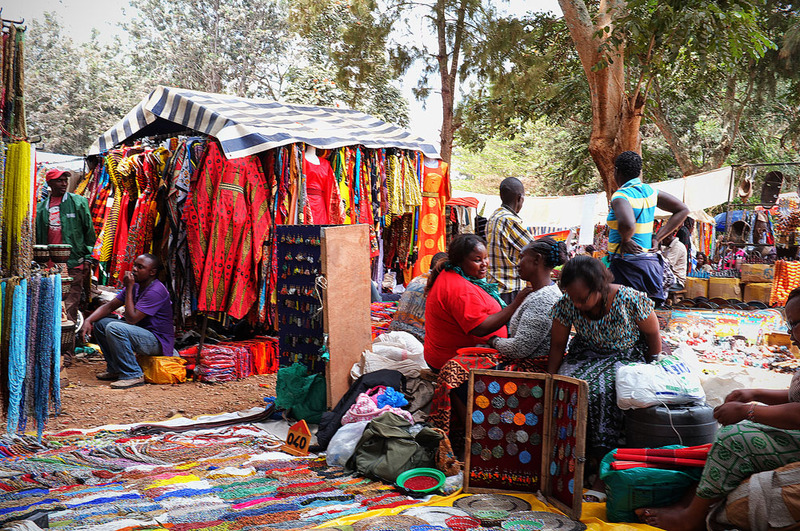 There were brightly colored clothes, dazzling prints, work with beads of different colors – this included chains, necklaces, bangles, pendants, earrings, bracelets, headbands, keychains and many many more items, the list just went on and on. Next up was the lady with the metal work….so many items, so intricately planned and finished, and neatly displayed. From animals. to busts, to full sculptures, wall hangings, frames, necklaces..almost everything decorative that we could think of was available, and a fair share of it was made from simple pieces of metal and wire cleverly tied or interlinked with one another. At the Gourd stall, we just stood and stared. There really was’nt anything else to do. The extent of creativity and craftsmanship was quite evident from the items that were on display. 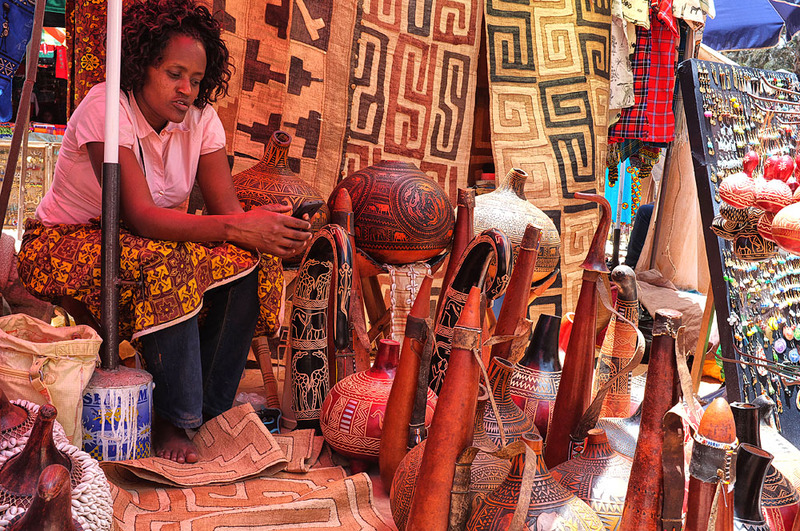 There were gourds of different sizes and shapes, with different artwork and patterns on them, all featuring stories of the African plains and the life of the people in and around those areas. There was also some very solid wood furniture available, the sofas, chairs and tables being exclusively handcrafted, The designs were as creative as one could imagine. Probably the biggest issue one would have in the todays world would be to accommodate the furniture in the smaller modern houses. We could probably have spent the next two days at the same place, there was just so much to see. The people were friendly and took the time explaining to us the work and method involved in the production of their products. 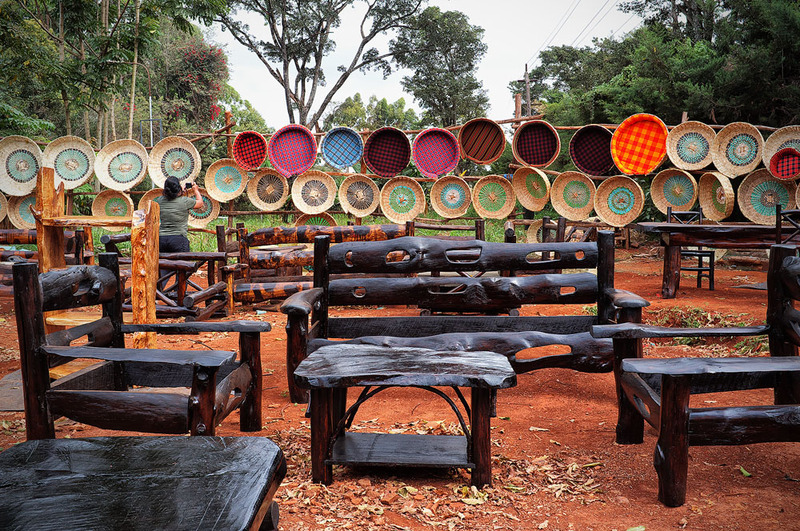 The next time we go here, we intend to find out more about how these items are actually made, and if possible get a hands on visit to the place where these talented artisans are. 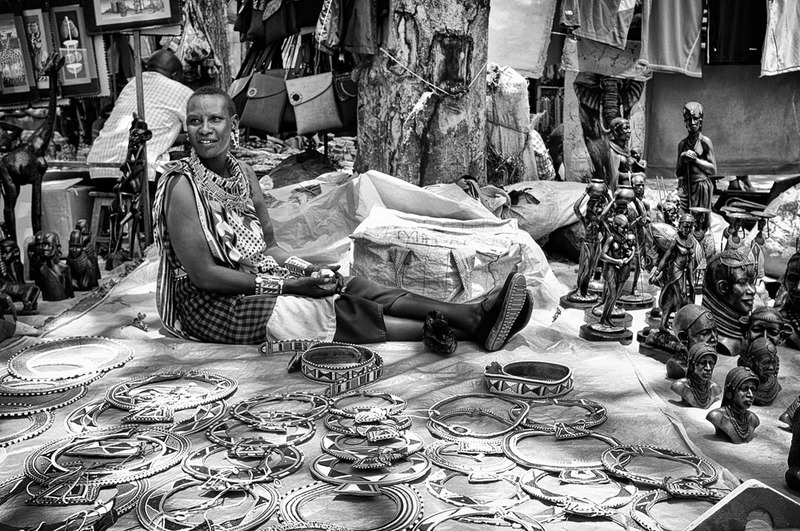 This entry was posted in Street Photography, Tradition & Culture, Travel and Leisure and tagged africa, beads, carving, culture, gourds, Handicrafrts, kenya, metals, Nairobi, talent, travel on January 25, 2017 by pkphotography.